Cameron McKinney played Indian War Dance solo on piano prior to the whistling portion of Reba and later sang part of the Reba chorus. Owner of a Lonely Heart, Low Rider, and Oye Como Va were all teased or jammed in YEM; Mystery Achievement (Pretenders), We Will Rock You, and Welcome to the Machine were all part of the YEM vocal jam. Great Gig made its Phish debut at this show. Sweet Adeline and Memories were performed without microphones. Curtis Loew was played for the first time since October 30, 1990 (302 shows) and Halley’s Comet was played for the first time since August 17, 1989 (474 shows). Cameron McKinney sang part of the Reba chorus and was mentioned during Stash. He also played a brief version of Indian War Dance, an introductory piano lesson, solo on piano before PYITE. Based on the ratings here I was hoping for some more magic tonight and I got some huge bust outs, but the playing overall was just average. This was their second and last time playing at the Paul Wright Gym, 29th show of the tour. The recording wasn't quite as crispy as last night's either. Nice Cup opener, but nothing too special to my ears. Foam was also in the just ok to good range. Guelah was nicely played and Trey had some kind of tease before "the Fly". Sparkle was ok, almost off the handle. Stash was alright and had a nice jam, but so far this seems to be an off night for Mike. Paul was good and dynamic. Sample was also just ok, not quite right yet. Reba was pretty good overall, except the ending with the special guest appearance. Sounds like Trey needed to tune before and during Punch, which was kind of rough through the Landlady sections. Jim was very lackluster and kind of flat sounding with no energy again mostly from Mike. Not sure if there is equipment troubles or what, but this is definitely not five star playing so far. Ok, this is a huge bust out! Halley's...wooowooowooo... That being said it is also really sloppy with missing lyrics and I wonder why they picked this tonight? Kind of an abrupt ending jam going into one of the lamest Bowies I've heard in a while. Pretty weak in my opinion. Ok, again I don't know why but...Curtis is out of retirement! Another one to relearn for Mike, but Trey and Page do well on this one. YEM had a rough in, but turns out to be ok with lots of teases, a debut Spooky, and a fun jam. Lifeboy is a really weird call after all that, and Trey needs to tune up before something this mellow and exposed. Rift is way off on the timing again, really bad, they barely got through it. Then the Balls come out to jam and this one had an actual ending with Trey on guitar. Alright, now the ridiculous factor goes way up as Fish does the debut of Great Gig! What can I say? You either love him or hate him, and this one takes the cake! Coil is sloppy and Page is left to clean up the mess on the last night in Colorado. If it wasn't for the two bust outs and the two debuts, this show would not even get near four stars, so I'm only giving it three to bring down the overall average. Imagine yourself in the summer of 1993. A dude you know gives you three soundboard tapes from the spring tour, set 2 of this night, the Crest Theatre and middle Roxy. Mind freakin' blown. I saw the two nights prior to this and there's no way I would have been prepared. 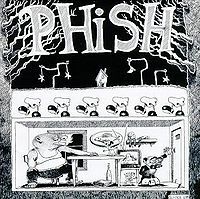 I didn't even know there was another Colorado show but it was '93, the dark ages compared to today in terms of the availability of information. Set 2 is the ultimate example of the awesomeness and weirdness of this band. Set 1 is amazing as well, better than advertised. This is the only show I wish I went to. My buddies and I to this day can't believe we missed it. Loving Cup opener sounds bright and obvious they love this friggin' song. 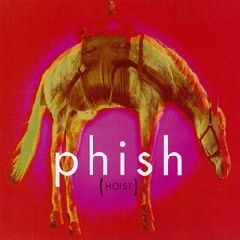 Fish is flying all over the place.Trey plucks the hell how of this solo lol then gives us the classic 93' guitar tone at the end that Fish just sprays all over the phans. love Foam. guelah, Sparkle . standard. You can hear Trey scream out Stash. Then the place get as quiet as t could get. some feedback. but still .. so pumped to hear where they take this. The crowd is friggin silent for all the verses. You know the band is loving this. and then Trey lets us have it right from the beginning. no noodling here. theme from the get. 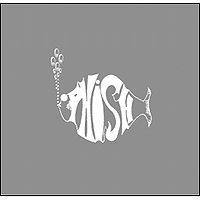 Fish follows and then c-ya off to that that place where the best 93 stashes went.mix of latin fusion rock ambient metal then they take it down you finally hear a phan whistle !! and then the band follows Mike and Trey on a computer tradgedy/triumph!! Mike!!! theses are my favorite Stashes. This show starts with an okay Loving Cup and basically most of the first set is kind of a slow burn. Reba heats it up a bit - slightly above average. By the end of the set they play a smoking PYITE and a Runaway Jim that's on fire. Trey throws down some runaway pickin'. I think the second set definitely is what earns this show the 4.5 stars. Halley's > Bowie is awsome. The YEM has lots of teases. A nice Lifeboy slows it down then a powerful Rift speeds it right back up again. The Great Gig in the Sky makes it's debut appearance at this show which must have been fun for the crowd. An average version, it's a song that is played a lot in '93. 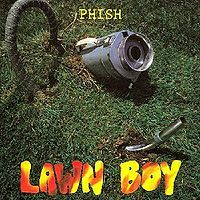 Then they stopped playing it altogether except twice in '94 and once in '98 (the Dark Side show). Each time they played Gig in the Sky in '93 it got better and better. 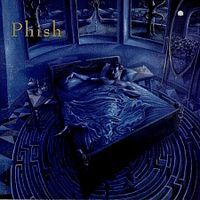 The Coil piano to mark the end of the 2nd set is a fine example of why Phish always has and probably always will end some sets with a solo by Page McConnell. The copy that I have of this show doesn't have Memories or Sweet Adaline. If anyone has a copy of this show with those two encore songs, they should submit it to the spreadsheet. They played Golgi Apparatus at their first know performance in '86. This is an old song has grown on me thru the years. This show closes with a really tight Golgi that for me, adds that extra .5 rating to the 4 stars. This is a show where every song feels intentional, thought out, and flowing to increase the energy. Stash is my highlight of the first set, but the real love is in the second. With all of the rarities and debuts, in the middle of the tour (as opposed to the expected debuts to begin a tour), this show has a special air to it. The Halley's and Ballad bust outs are both enormous surprises, totally unexpected. And the YEM, oh the YEM. 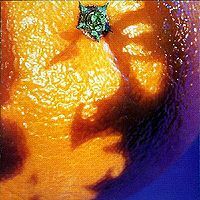 Whereas 2/20/93 II is a teasefest where one and sometimes all members of the band made the teases happen, the teases in this YEM sound much more like the full band moving as one from tease to jam to tease and repeat. Tonight sounds more cohesive, tighter, and improved to me as this winter/spring tour rolls along. Spooky is one of the best debuts I've heard in a long time... until Gig. I mean, frontman Fish is always the comedic relief part of the show, but this one raises the bar, and is surprisingly poignant, despite Fish not being Clare Torry (original Gig singer). Coil of course is one of their best and favorite songs (judging by the consistent crowd response every time it's started), and a fantastic way to end a set. And even though it's not in the tape I heard, Memories seems to be sung on special nights, when the band is actually feeling sad to end a show or a run of shows. Phish sounds happy on this whole Colorado run, and tonight's final set of their time at least a mile high was a way of saying "thank you" to their fans, friends, and family in their second home.